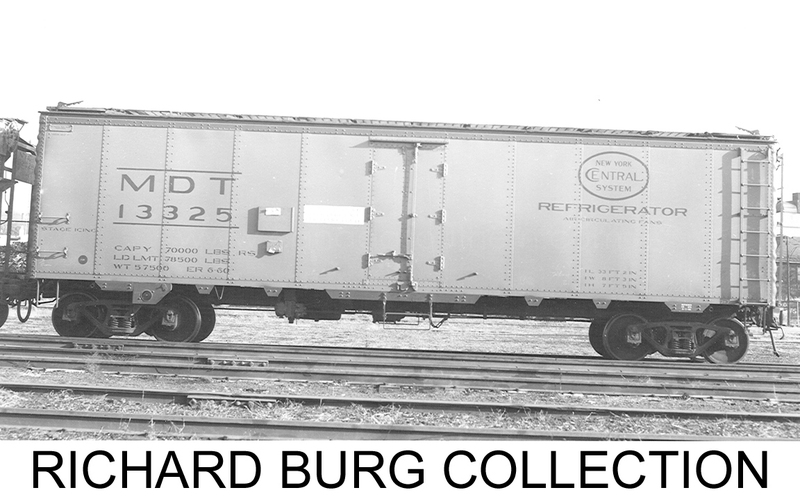 Prototype for Accurail’s Central Vermont insulated reefer? Accurail offer their 40′ wood-sheathed refrigerator car decorated for Central Vermont Railway in an olive green colour with their wet noodle logo. I’m not familiar as familiar with the Central Vermont as I am with their parent Canadian National. I know that CN rostered a number of wood cars into the late 1960’s and early 1970’s so many did appear with CN’s similar logo. I assume the same is true for the CVR. The scheme is really too recent for the car to be a milk service car and it is sub-lettered as an “Insulated Car”. Here in Prince Edward Island CN would use large fleets of quite old, former ice reefers, in potato service taking advantage of the car’s insulated qualities. Is this Accurail car based on a similar service or is this just some wishful thinking on Accurail’s end? I’d like to buy one but it would bug me if I later found out that it wasn’t really “prototypical”. ← Finally. A ready-to-run PEI diesel for HO scale. That’s really neat. Thanks for the tip. I’ll keep an eye out for the book and the photo. Thanks.